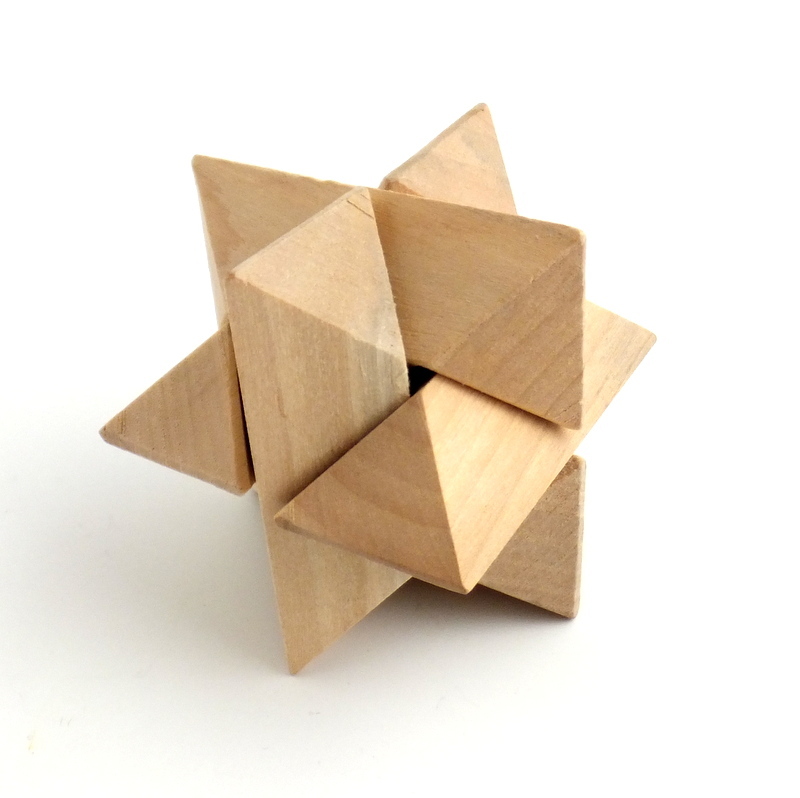 This wood 3D puzzle will help children, teens, and adults develop spatial visualization and problem solving skills in a fun tactile way. The puzzle is composed of six pieces that are each the same unit. When assembled, they create an entirely new stable, freestanding shape – a star.